The next six months could be "extremely eventful." 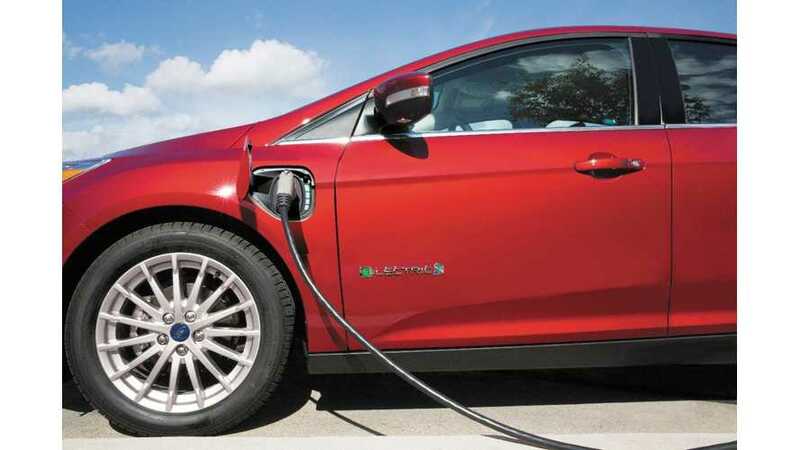 When you think of prolific electric vehicle manufactures, Ford is not the first name that comes to mind. It's likely not even the second. Maybe third, but probably not. This could change soon, if its recent moves are being interpreted properly. Morgan Stanley automotive sector analyst Adam Jonas released a note yesterday that says he believes the company under recently installed CEO Jim Hackett to be "all in" on EVs, and that "We expect the next 6 months to be extremely eventful." We certainly hope so. 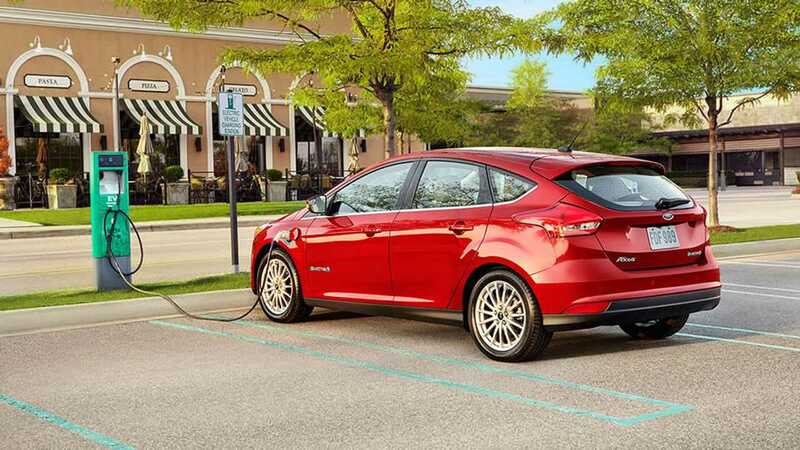 Ford has exactly one all-electric vehicle in its lineup: the Ford Focus Electric. It's enjoying an bit of an increase in sales this year, after boosting its battery up to 33.5 kWh and getting DC fast-charging abilities. By the end of July it had sold 1,206 units, up considerably, in a relative sort of way, from the total of 901 examples in all of 2016 (and 505 sold through July 2016). Still, compared to something like, say, the VW e-Golf — with a similar price and small battery size (24.2 kwh - but soon to go up to 35.8 kWh) — which had sold 2,195 autos by July's end, it's pretty anemic. Put it up against the 8,531 Nissan Leafs from the segment leader (with similar battery/range numbers) and its relevance, or lack thereof, comes into sharper, ahem, focus. The Blue Oval does fairly decent trade with its PHEV models, the Fusion Energi and C-Max Energi (5,760 and 5,224 units this year, respectively), but even those numbers are less than half of its main competitors like the Chevy Volt or Toyota Prius Prime. And sure, Ford made an announcement about investing $4.5 billion in electrification a couple years back, but that is modest money that would just create more hybrid and Energi derivatives of existing models and just one new all-electric, a promising-sounding 300-mile crossover, sometime in 2020. Clearly, Ford has been snoozing and losing in the EV arena, content to rake in big money from its gasoline-powered pickups and SUVs while keeping its eye towards the future half shut. Speaking of partnerships and new structures, we'd be remiss not to mention that Ford passed recently on a chance to take over Lucid Motors. Without knowing exactly what it might have gained from the sale and the price tag attached, it's hard to judge the decision, but it struck us as one way for the Detroit automaker to get into the game without having to build its own battery and software specialist teams from practically scratch. It also occurred to us that the Lucid Air might have some very Lincoln-esque qualities about it that could nudge that brand upwards. We'll try to keep Jonas' admonition about the next six months in mind as we continue to watch for what EV moves Ford decides to make in the remainder of 2017. Perhaps the installation of Sherif Marakby into the position of vice president of Autonomous Vehicles and Electrification might yield some positive fruit in time for the 2018 auto show season. One thing is sure, with its market cap now surpassed by tiny Tesla, which makes a fraction of the vehicles, the pressure is on to prove that its future is one of growth.